Prices from $67.00 for 250. This Auto Repair Order is generally used by professionals who repair cars, trucks, vans or any type of automobile. 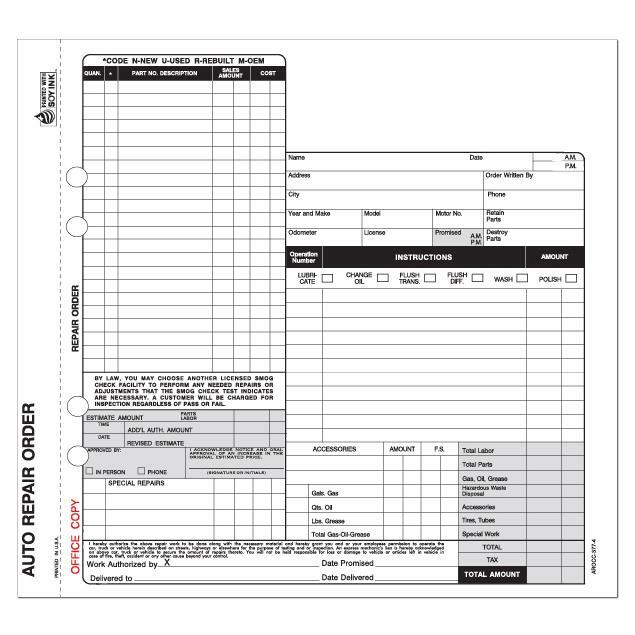 We have the form that is just right for your auto shop or garage. 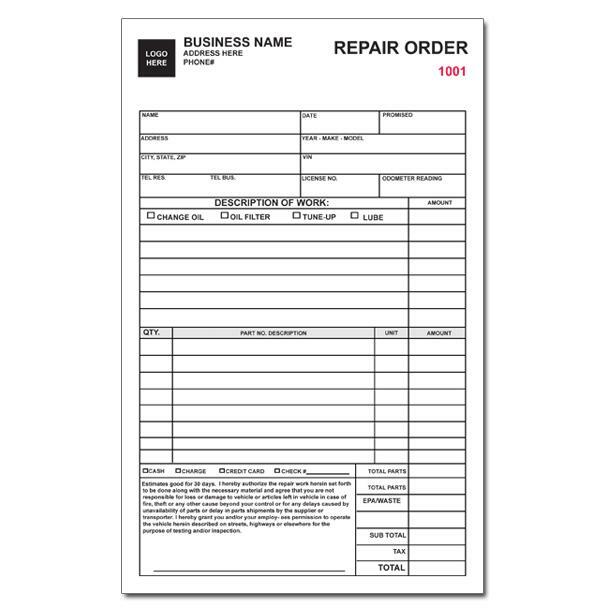 A customized format can also be designed and printed to fit your business needs. You will be able to obtain the contact information of your customer and detailed information about the vehicle. 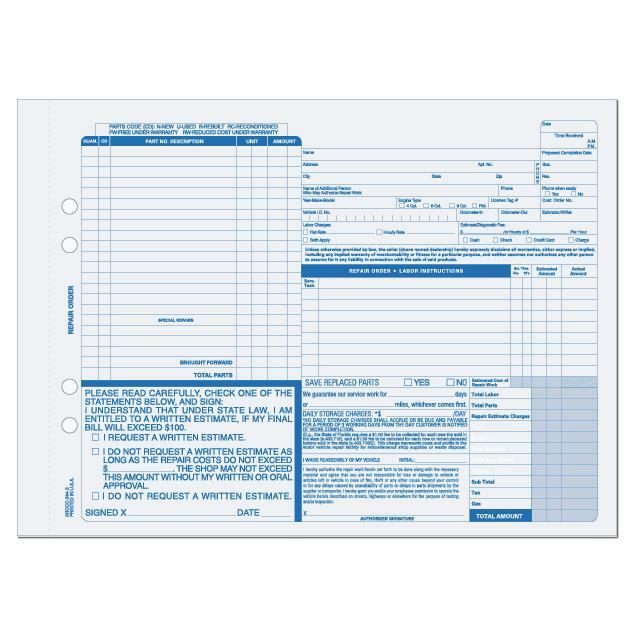 View a larger format of the image above to read the details of the form. 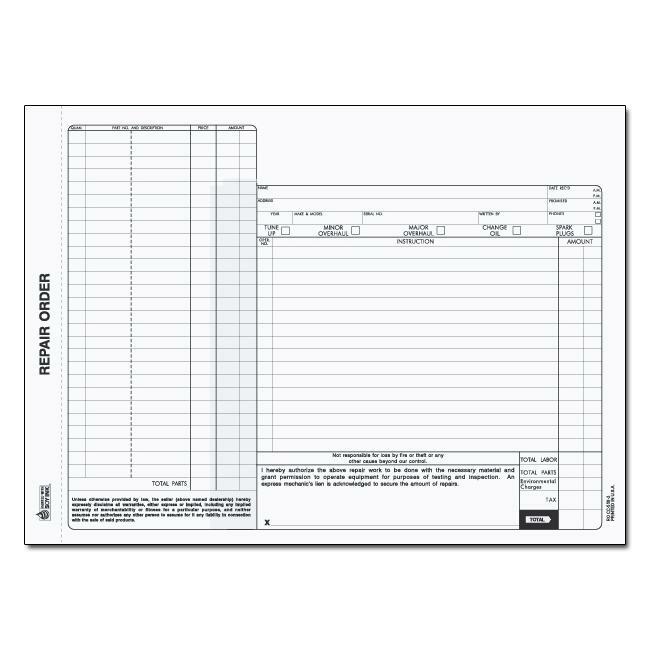 We have many options for quantity, colors, parts (2, 3 and 4), numbering, perforations, booklets etc.